Based on the headline alone, you’re probably thinking this is an Onion article… but I assure you it’s not. 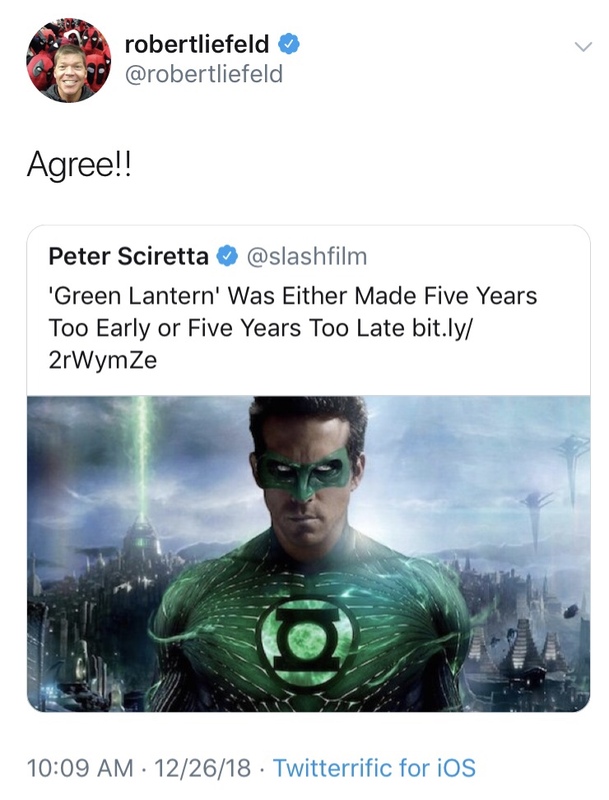 Over time the Ryan Reynolds Green Lantern movie has aged like a full can of Natural Light left open in the desert for three months. 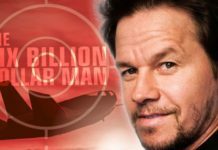 If you don’t consume alcohol, think more Hollywood punchline than cinematic achievement. 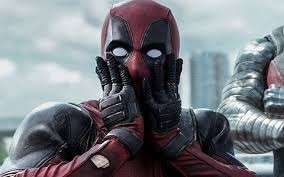 The flick was so bad, even Ryan Reynolds’ new, and the one he will be remembered for, superhero hero persona Deadpool routinely pokes fun at the expense of the former DC space avenger. Click here for a brief video to illustrate my point. You might have even cracked a couple jokes yourself. There’s plenty of material. I can’t believe I paid money to see it in the theater. 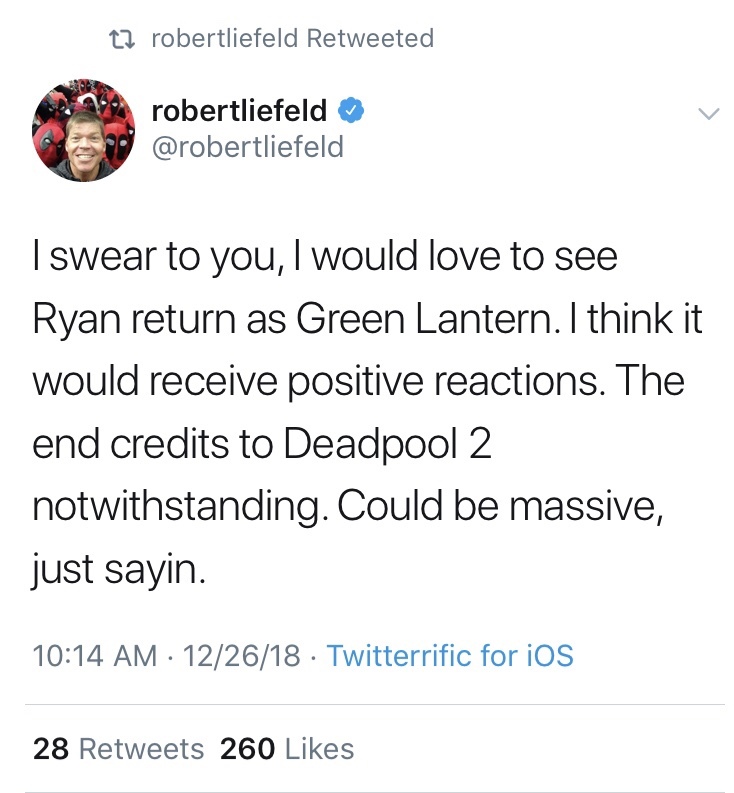 Remember the guy did create Deadpool, he might be right, and after all that I’m starting to believe that maybe in an alternate universe where Deadpool wasn’t a mega-success, and maybe a new Green Lantern director, it could work. 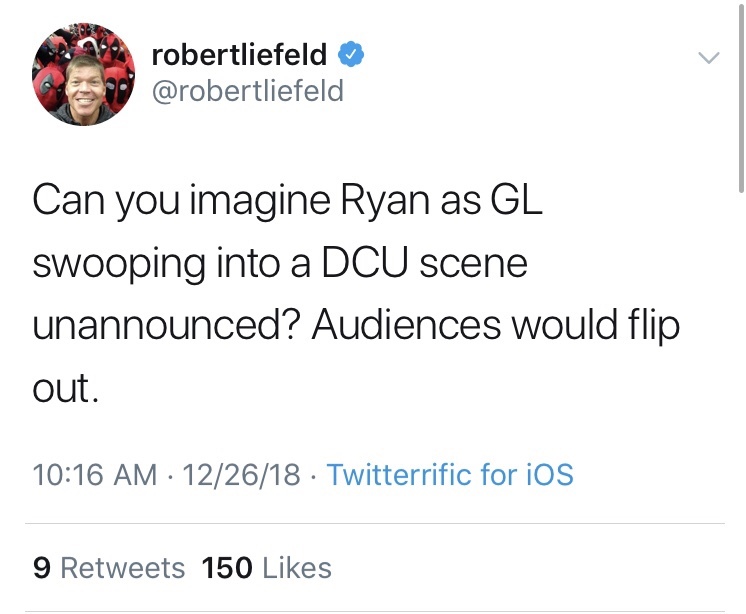 He’s 100% correct when it comes to DC fans flipping out, I would. It’s amazing what a good movie can do for one’s image and career. 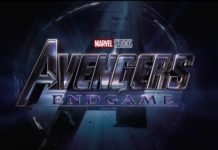 While I don’t see it happening anytime soon, we can always imagine a world where the guy from The Hitman’s Bodyguard conquered both the Marvel and DC Cinematic Universes. 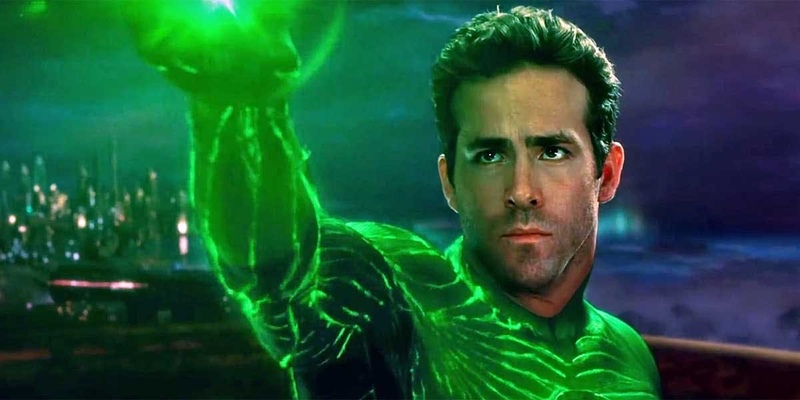 Would you really want to see Ryan Reynolds as the Green Lantern again? Let Nerdbot know in the comments! !